Gustave (Ralph Fiennes from “Skyfall”) worked his way up from Lobby Boy to be the legendary concierge of the Grand Budapest Hotel. Many of the people who stay at the hotel come for him specifically, and many of them are ladies. Old ladies who are rich and lonely and, of course, blonde. Gustave takes on young Zero (Tony Revolori in his feature film debut) as a Lobby Boy in training, and soon young Zero becomes his closest friend. That is a good thing, because when the Countess Madame D (Tilda Swinton from “Moonrise Kingdom”) dies and leaves a priceless painting to Gustave, he is charged with her murder. As with many of Director Wes Anderson’s movies (“Moonrise Kingdom”), there is a caper to be solved, but that is of little importance. Anderson seems to construct his movies like he was on his back painting the ceiling of the Sistine Chapel. For my screenwriting friends, this movie throws that “save the cat” convention right out the window. The settings are eclectic, the characters eccentric, and the color palette rudimentary. I was surprised and amused when the movie literally ended with a cloak and dagger bit and a hail of gunfire. The usual cast of Wes Anderson’s cameos arrives throughout the movie. I would say they take you out of the movie, but that would mean the plot was the important thing. You could say Anderson’s movies have a style and an odd way of making things come across as charming and hilarious. Every character plays it straight, not for the laugh, but it all comes off as funny. The humor is subtle at times, and I found myself laughing at the mere composition of the characters placed in the frame. I think movies like this are not meant to be evaluated for their cinematic quality, but for their ability to engage us and draw us into the art form. Much the same way I feel after seeing a beautiful painting that I don’t fully comprehend, I walk away with an impression. Maybe we are seeing Anderson in his “impressionist” phase where everything we see represents something else. At least it is beautiful and makes you smile. I am a sucker for Wes Anderson movies, and they have not all been gems, but this one sure is. I give this movie 4 stars out of 5. 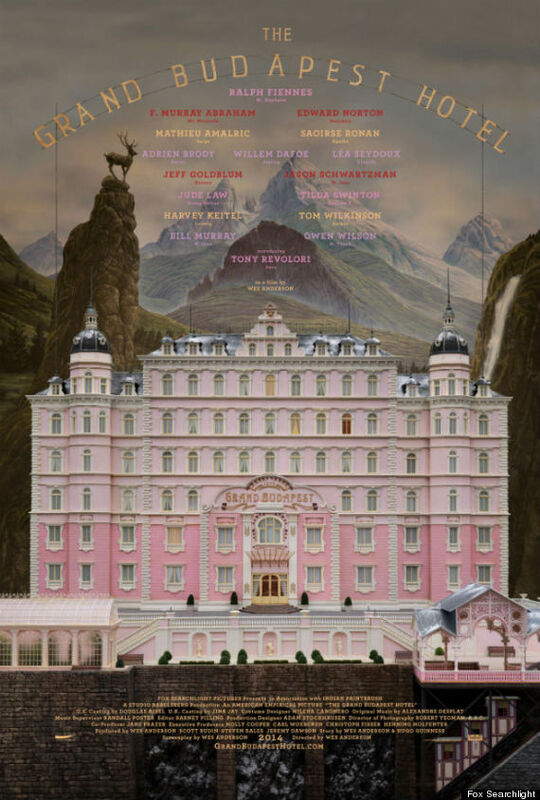 I hope you enjoy your stay at the Grand Budapest Hotel.